Throughout the year many local Romans travel to Castelli Romani, with its many beautiful cities. We will keep updating this page with much more information about this mountain area. This is the nearest village to Villalba. Here you find nice bars, restaurants and good shopping. Every year in June it is here they have the "Genzano Infiorata" - the flower festival. This is the largest village in Castelli Romani. Here you have really good shopping opportunities with lots of fashion shops. It is also from Albano you can take the train directly to Rome central station. This village has the highest altitude in the mountains and is beautiful placed on the side of the mountain. On the summit you find Campo di Hannibal - it was here Hannibal had his elephants during the Roman Empire. Frascati is naturally known for their great wines - but Frascati is much more than that. Here you find great shopping, nice bars and many restaurants. In the summer there is plenty of opportunities to sit outside for dinner with a great view of Rome. 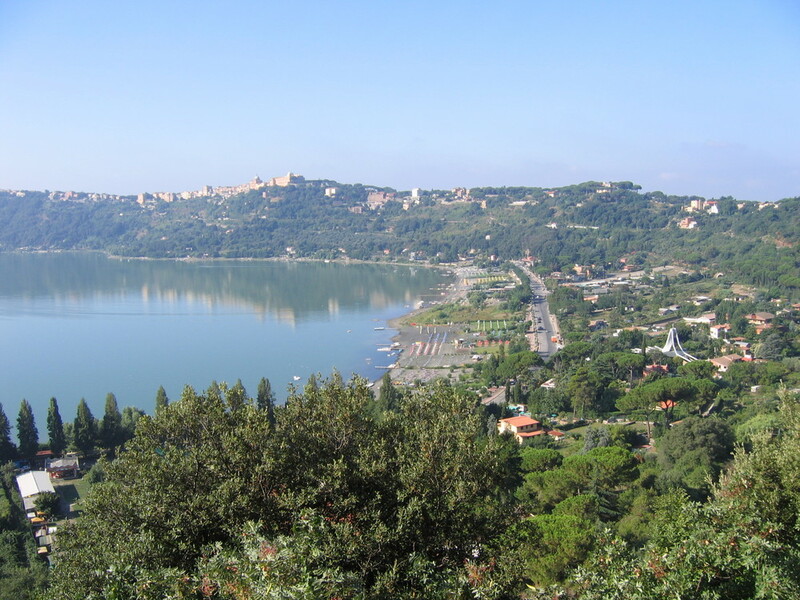 This small village is know for 2 major things - the Pope's summer residence and the Lake Albano. At the lake you find plenty of bars and restaurants. This village is best known for the endless number of restaurants in the centre of the village. Also here you find the best roasted pork - porchetta.